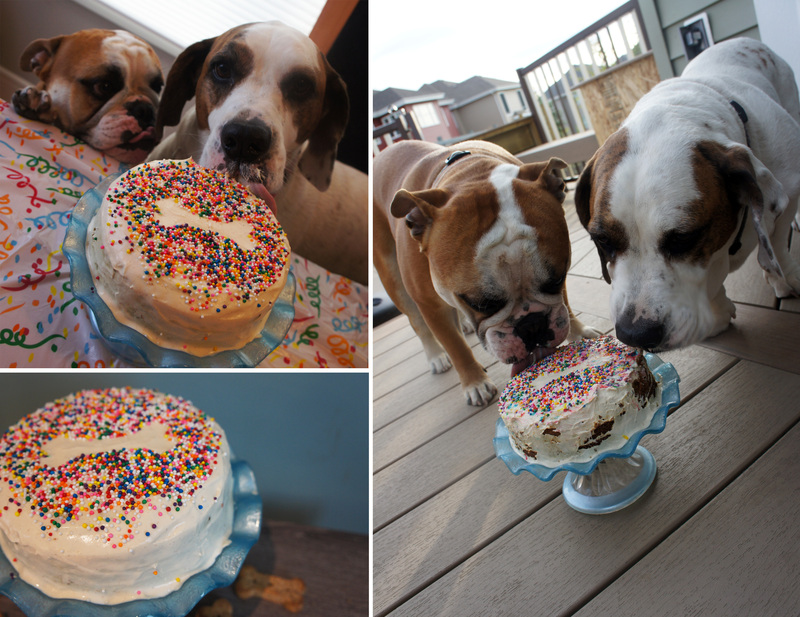 I try to make a homemade cake for the dogs birthday’s each year, but there have been a couple times life has gotten in the way and they have ended up with store bought. When it is homemade, my default recipe for the last 4 years has been this peanut butter delight cake. 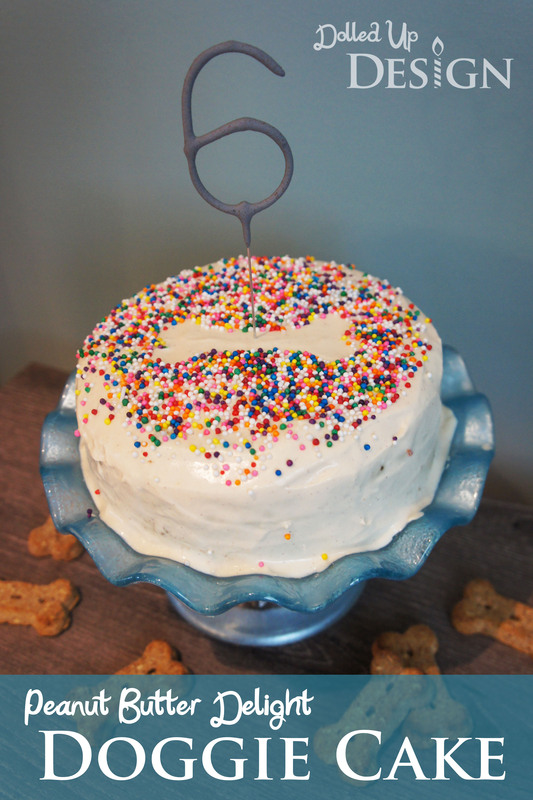 Many of the dog cake recipes I found were meat based and I like that this one uses regular baking ingredients and is closer to a cake I would enjoy myself. It smells great cooking and I don’t have to worry when the kids try to get in on the action! Mix together flour and baking soda. Add remaining ingredients and mix well. Pour into a small round pan and bake for 25-30 minutes. Mix ingredients together and use to frost cake. 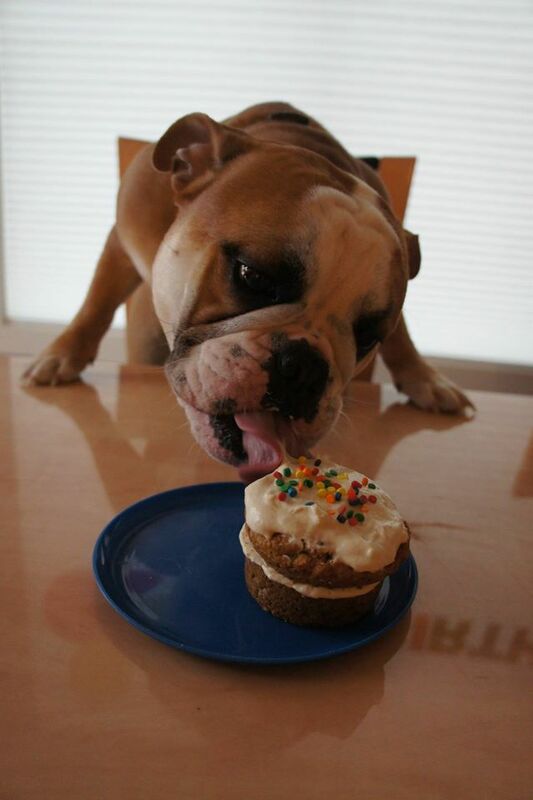 Our pups have enjoyed this recipe as both a full cake and cupcakes. I have baked it in a loaf pan and cut it out to look like a bone and I have done it as a small round and added several cupcakes to create a paw print shape. It doesn’t matter how it is decorated, my dogs love it! 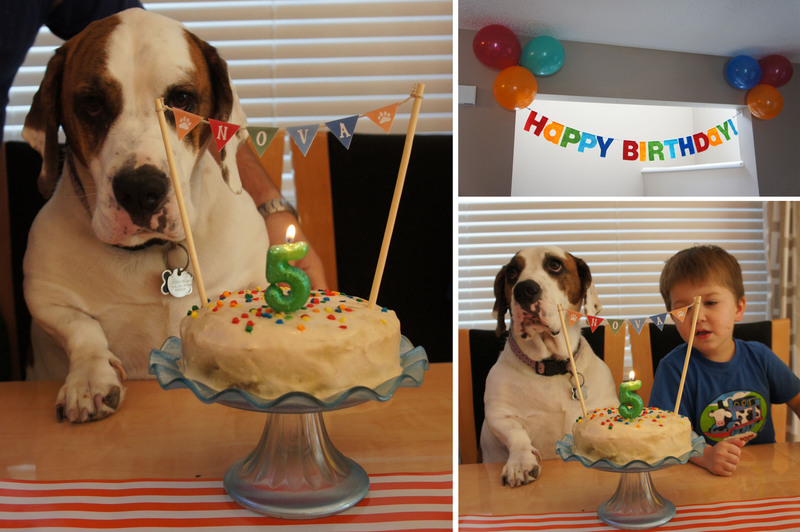 Hi first of all this is such a cool idea I’m making my parents pup this exact cake next week but I was wondering did you use regular sprinkles?? I do think want to put something he shouldn’t be eating. Hi Grace, I did use regular sprinkles. I have seen them used on other bought baked goods aimed towards dogs and I figured they weren’t actually consuming enough to do any harm. 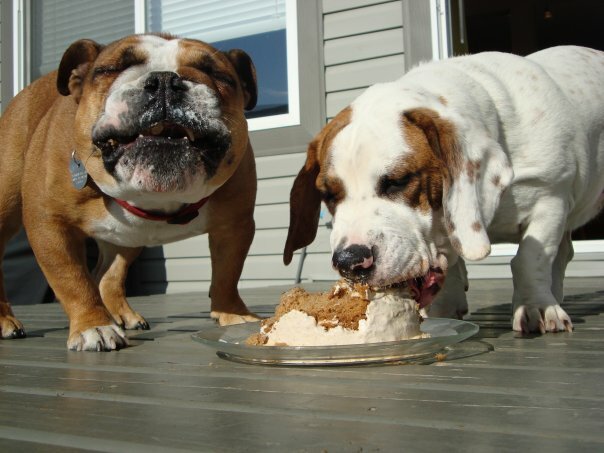 I have also used carob chips in the past which would be a dog friendly option. Hope this helps!